As a freelancer, you're responsible for every aspect of your business. Not only do you need to deliver a great product, but you also need to manage your expenses, invoice clients, and handle your own taxes. And as a freelancer, time is money. 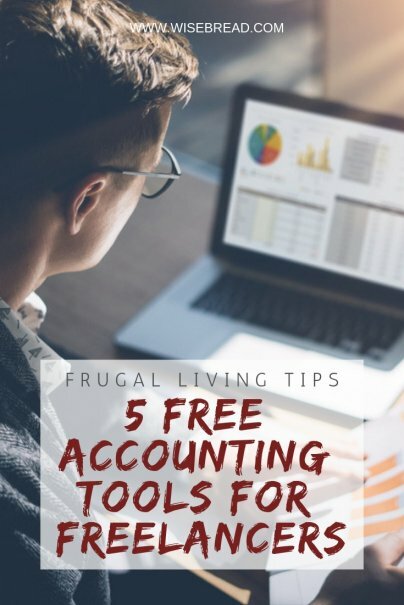 Instead of juggling spreadsheets and files yourself, check out these five accounting tools that are completely free. Zoho is one of the most robust bookkeeping platforms out there. With the free version, you can invoice up to five customers a month. And you can track expenses, customize your invoices, receive online payments, and manage timesheets. If your business is growing and you need to be able to accept credit card payments rather than just cash or check, Due may be the solution for you. Due is free to use, and you can send invoices and get paid online. Due charges a processing fee of 2.8%, and promises to match any lower offer. For people running smaller businesses, such as dog-walking services or housecleaners, some of the bookkeeping software can be overwhelming with unnecessary features. And many of them don't offer essential features those freelancers need, such as scheduling or client contact options. Pocketsuite is a mobile app that allows you to connect with clients and manage your business finances all in one spot. With the free "Pro" version, you can schedule appointments with clients, send professional invoices, accept credit card payments for a flat 2.5% processing fee, send messages to your customers, and even accept tips. PayPal allows users to upgrade to a free business account in order to receive credit card payments for purchases and create invoices as needed. You won't pay a transaction fee for shopping through your personal account, but upon receiving funds for goods or services, you will pay a 2.9% fee, plus $.30, of the total amount received. PayPal also lets you run reports on all funds coming and going, so you can seamlessly track your professional finances. Wave's bookkeeping and accounting services are completely free; you only pay a fee if you add employees. They also charge a 2.9% processing fee if you accept credit card payments from clients. You can track your expenses and income, and with the easy-to-use platform, it's easy to manage even if you don't have experience in accounting. Everything is cloud-based, so you can check your account and update your information from any computer or mobile device. Best of all, Wave generates tax reports that will save you time and money at tax time, making your life — and your accountant's — much easier.